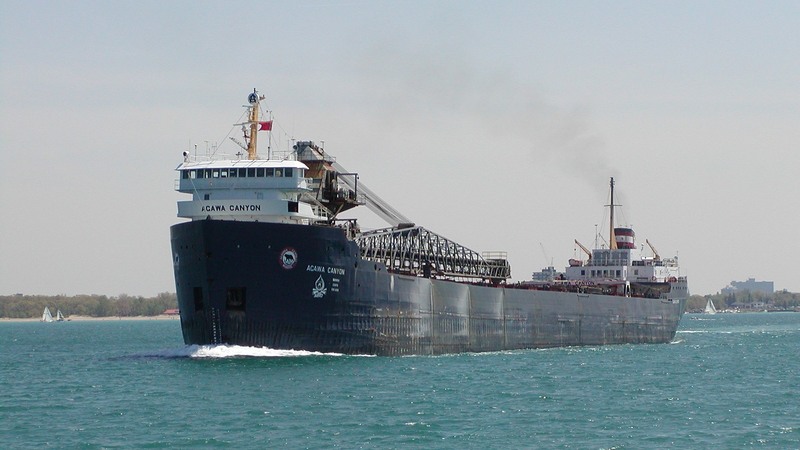 Welcome to our Great Lakes Ship desktop wallpaper image page. 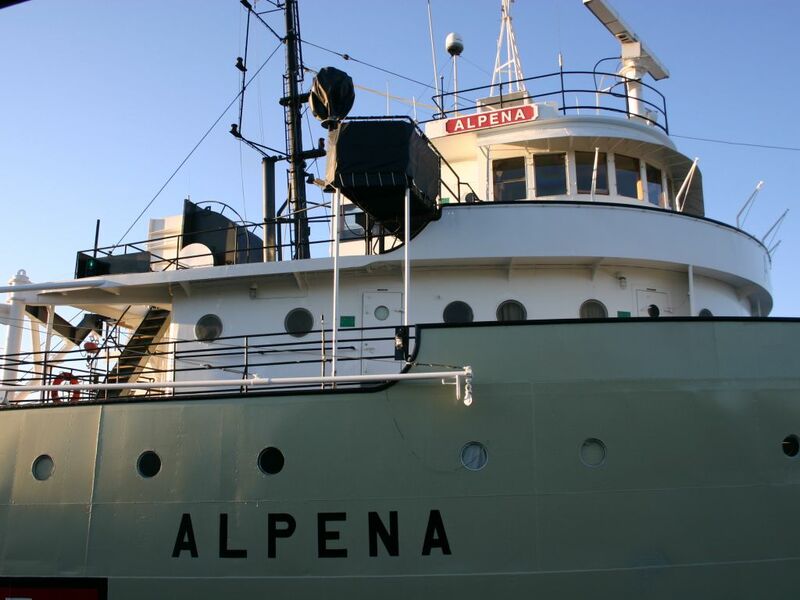 Below you will find thumbnailed images of ships taken from the Great Lakes. Click an any of the thumbnailed images to see a large image of that ship, then right-click on the full-sized image and "save as desktop wallpaper." All thumbnails with a after them have been added to the site recently. 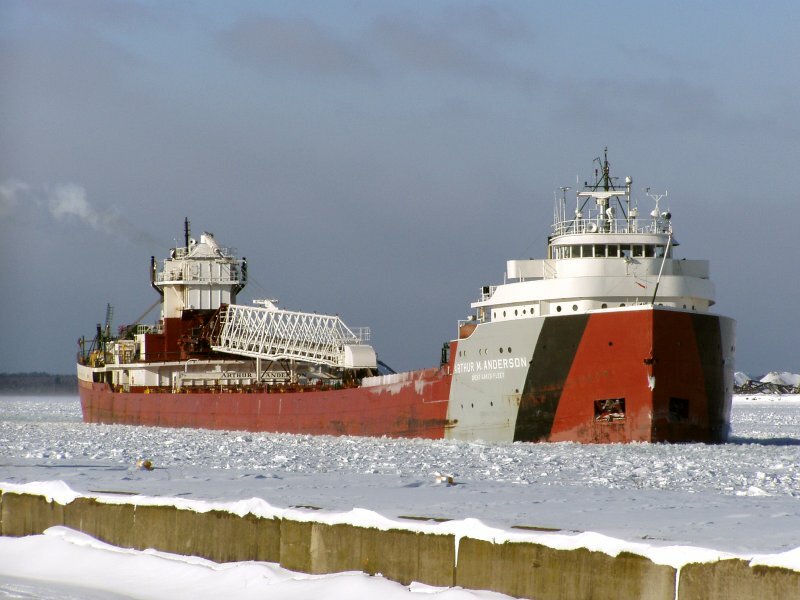 Please return to our Home page to see digital images of Great Lakes Sunsets, Great Lakes Lighthouses, Michigan Ghost Towns, and links to other interesting Great Lakes websites. 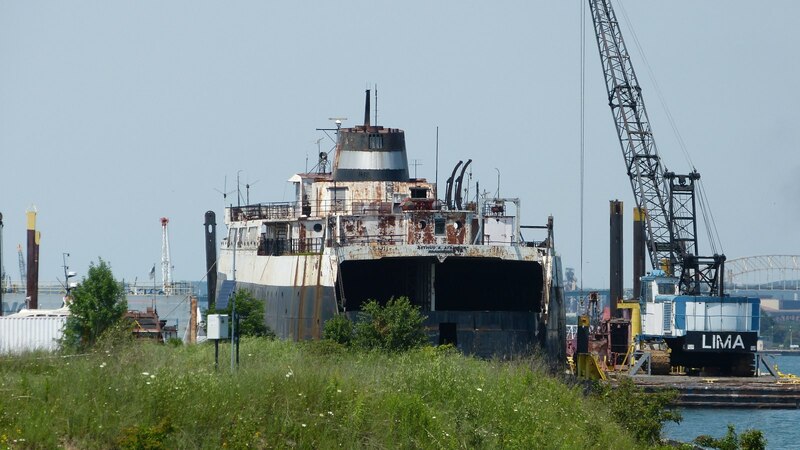 Acushnet at the Gaelic Tugboat Co dock, Detroit Michigan. 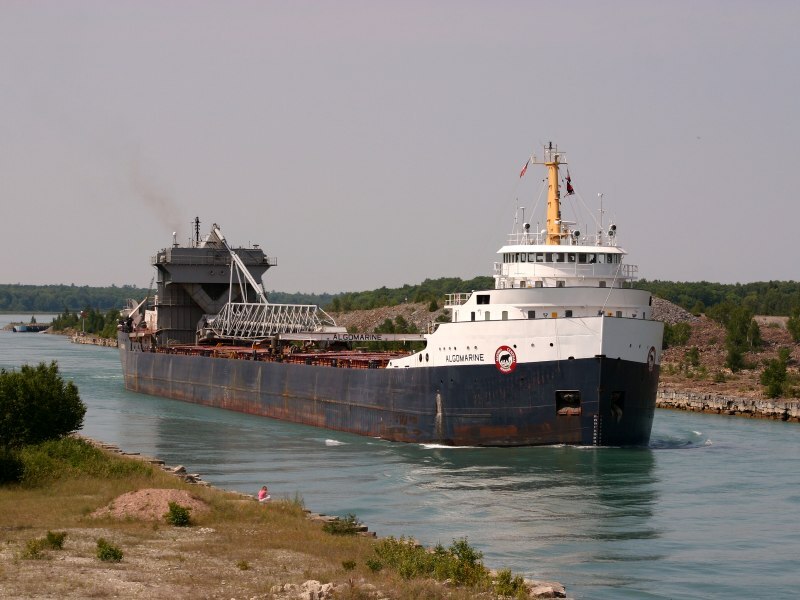 Agawa Canyon upbound in lower Lake Huron. 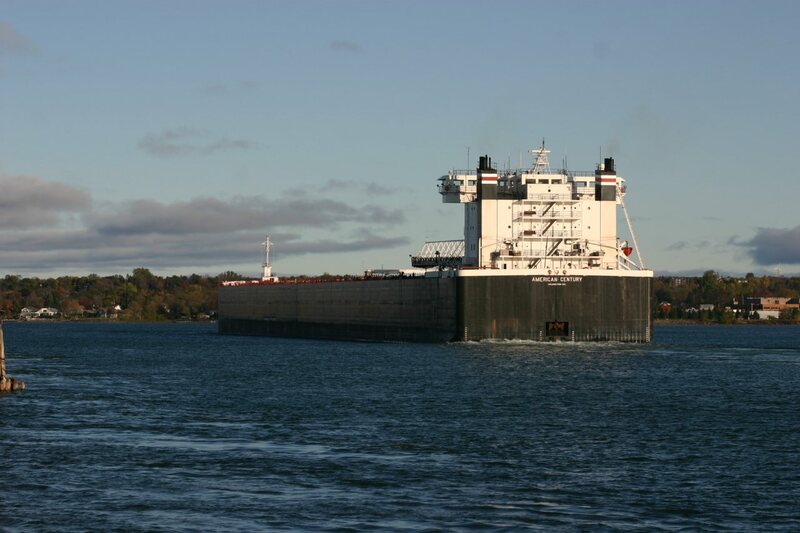 Agawa Canyon downbound on the St. Clair River near Marine City. 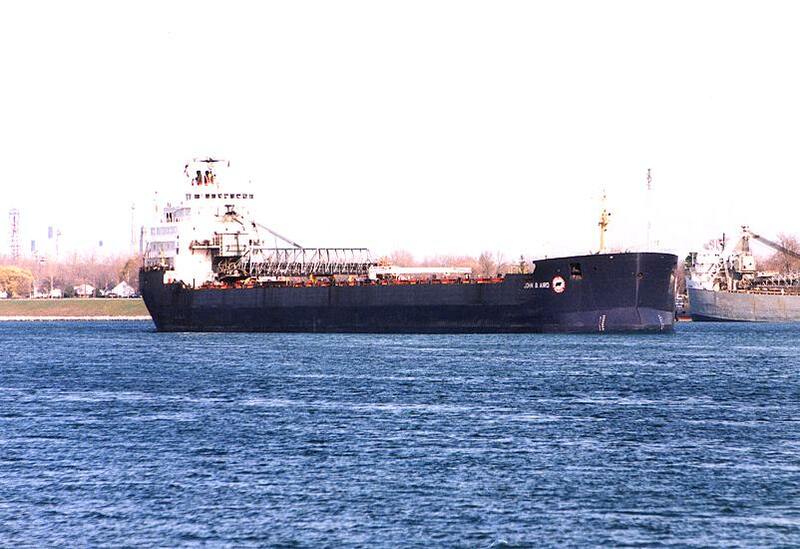 Aird John B. downbound in the St. Clair River at Recors Point. 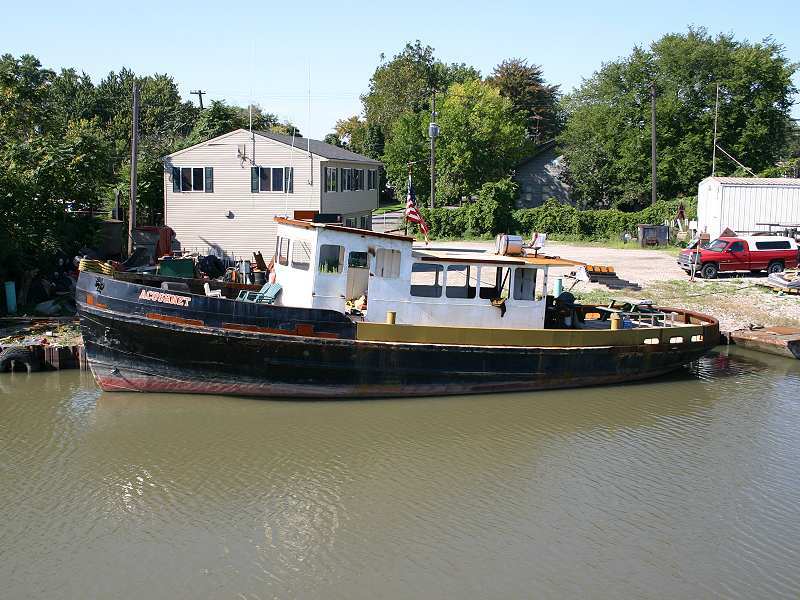 Alabama built 1910 for passenger service, converted to barge 1964. 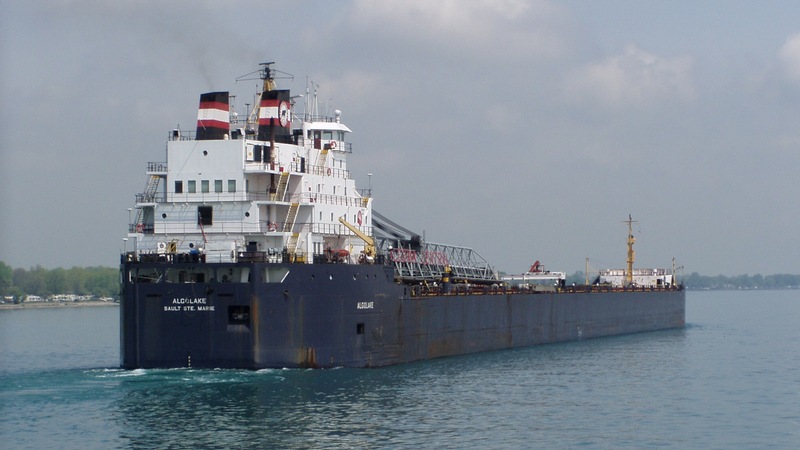 Algobay downbound in the Detroit River near Zug Island. 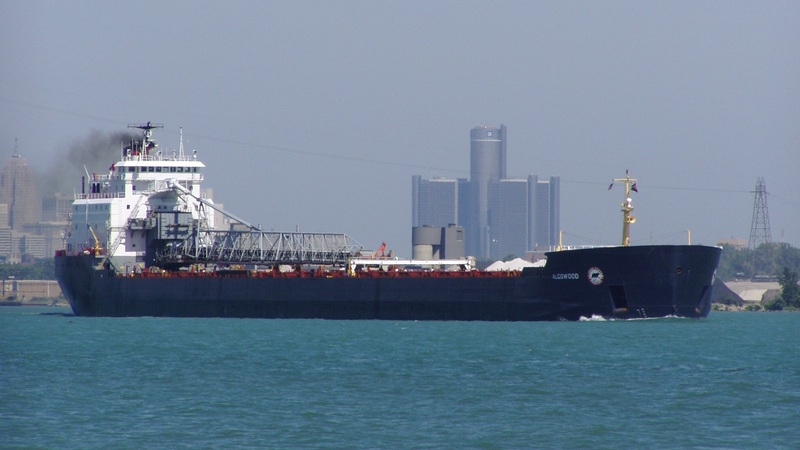 Algocape downbound in the Detroit River. 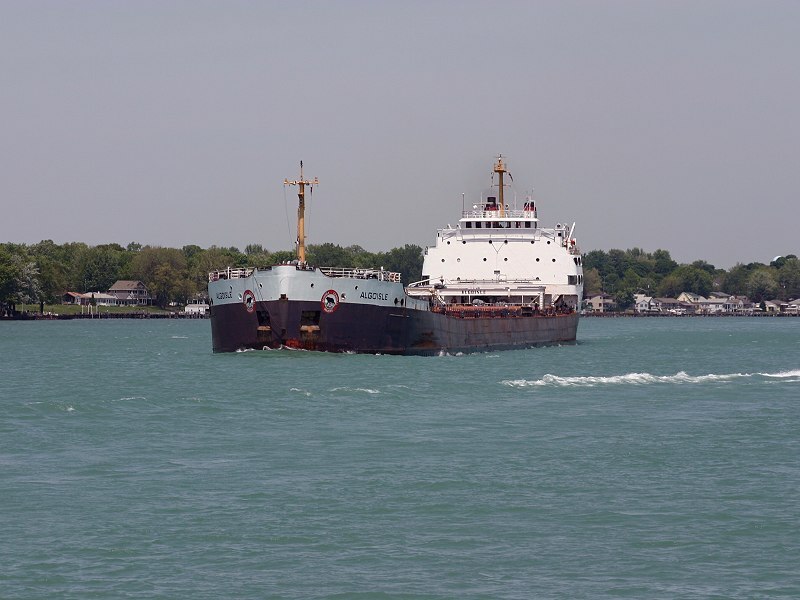 Algoeast downbound in the Detroit River. 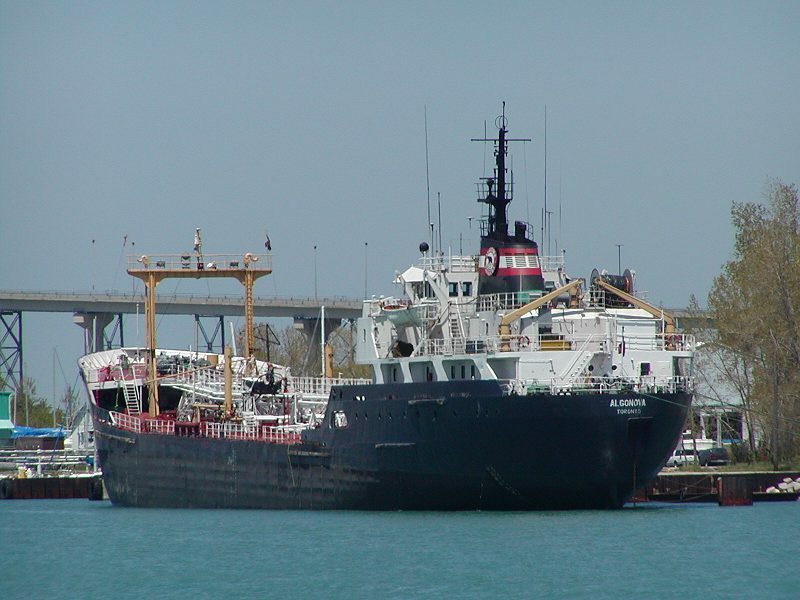 Algoeast at her normal fuel dock, Sarnia Ontario. 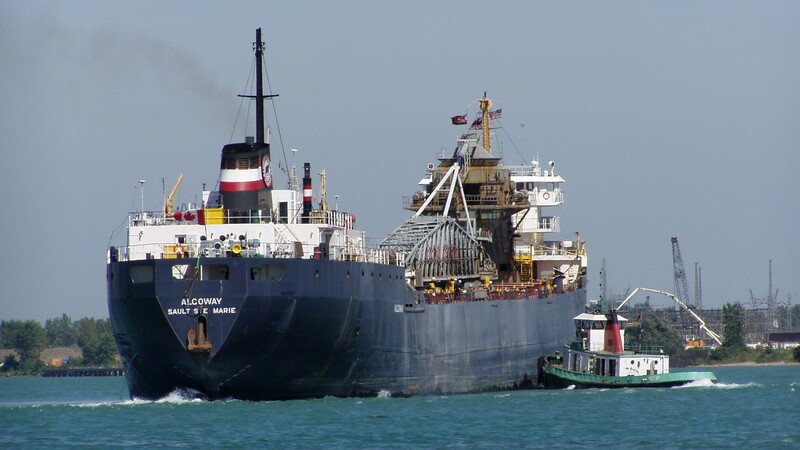 Algoisle downbound on the St. Clair River near Marysville Michigan. 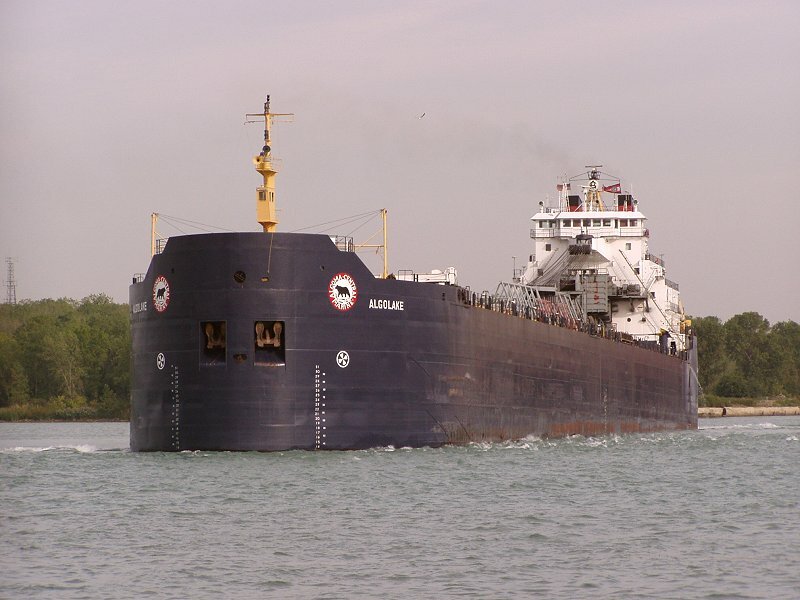 Algolake backing out of the Rouge Short-Cut and turning downbound. 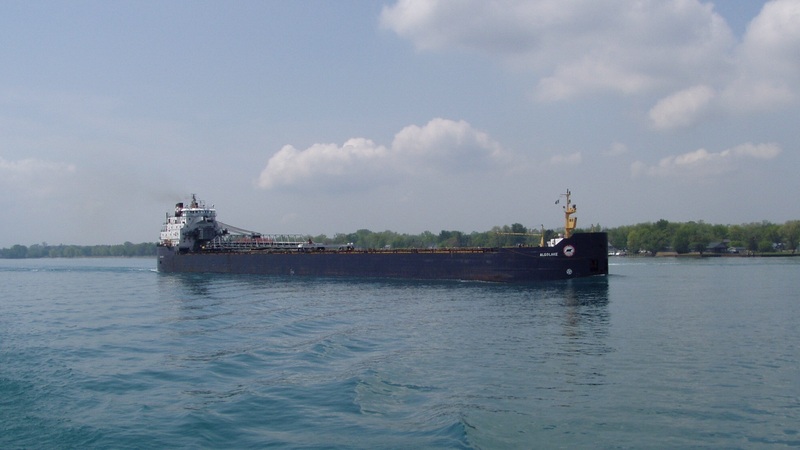 Algolake upbound on the St. Clair River near Harsons Island. 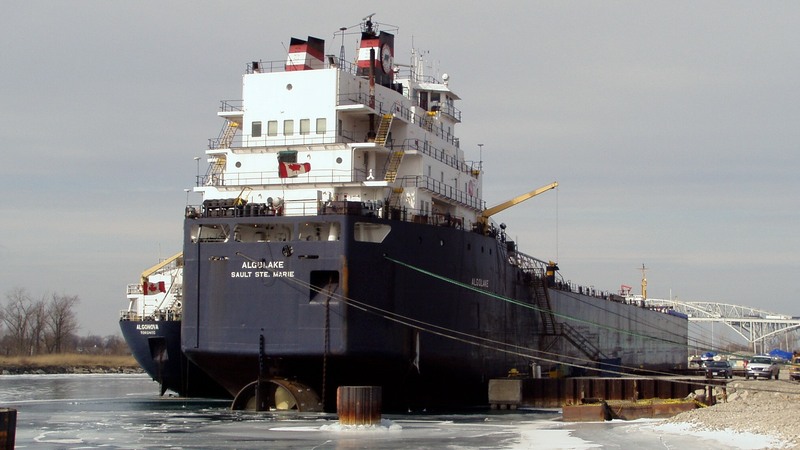 Algolake at sarnia for 2002-2003 winter layup. 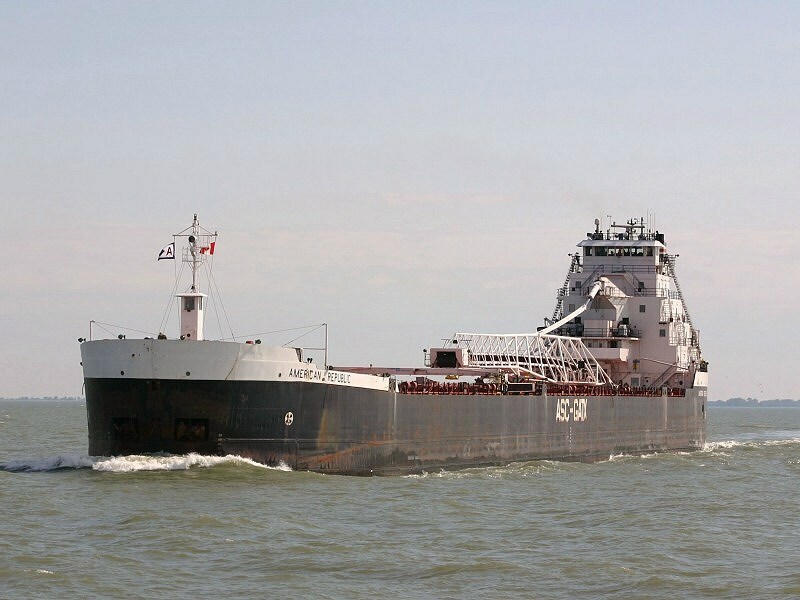 Algoma Enterprise. 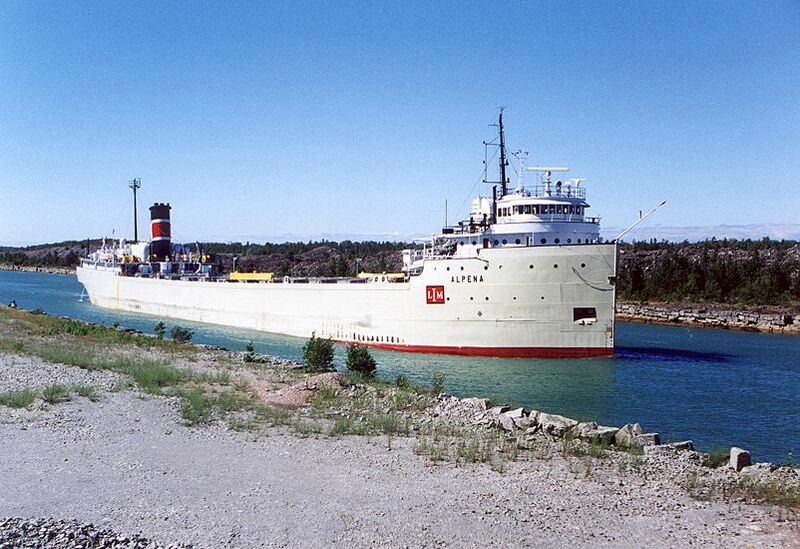 upbound at Sault Ste. Marie. 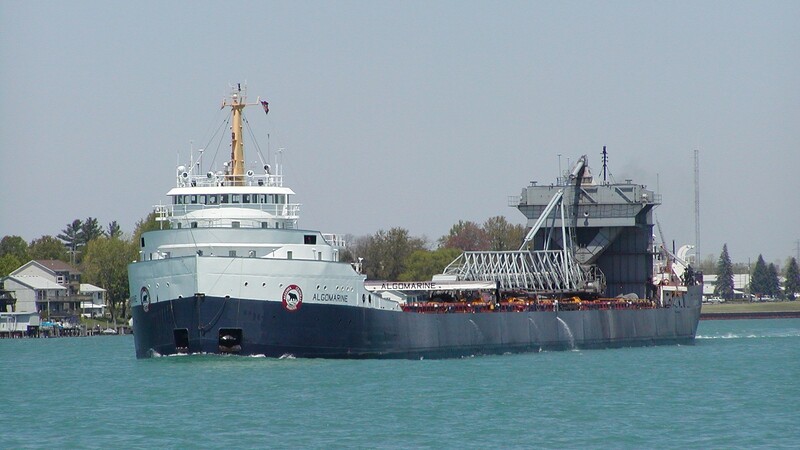 Algoma Guardian upbound at Mission Point Soo Michigan. 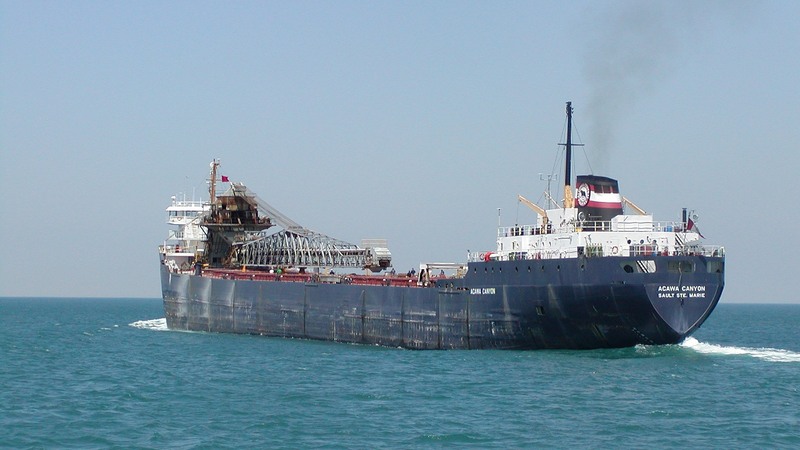 Algomarine upbound on the St. Clair River at Port Huron. 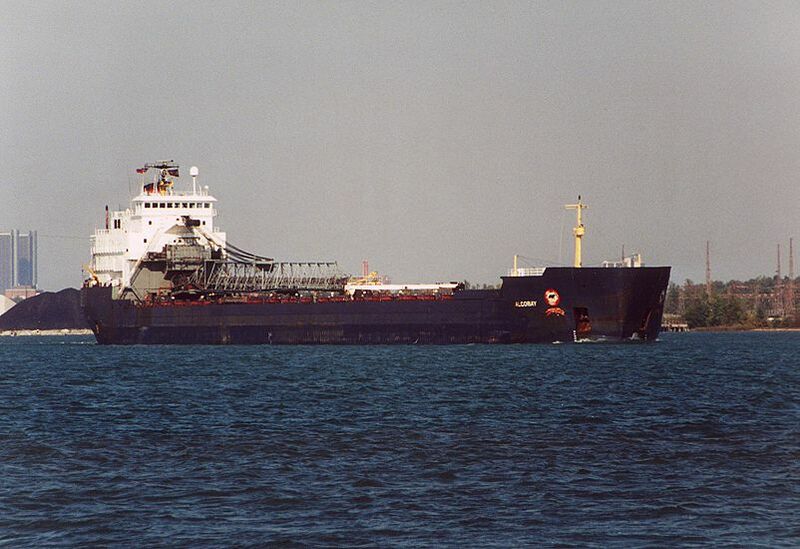 Algomarine downbound near Marysville Michigan. 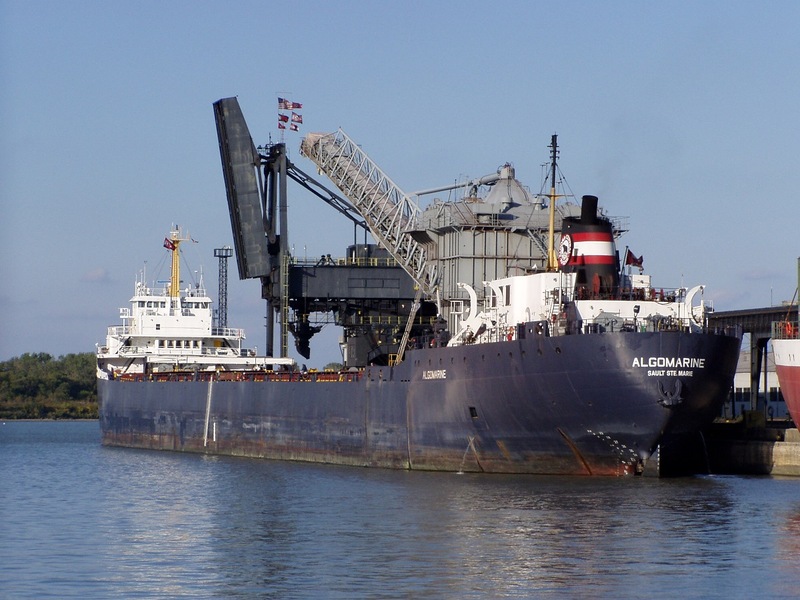 Algomarine waiting to load coal at Toledo. 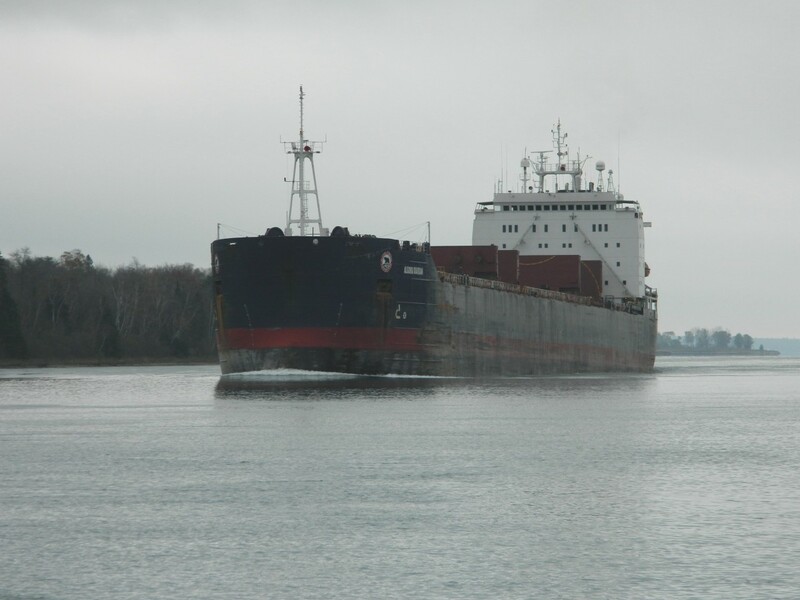 Algomarine downbound on the St. Marys River at Rock Cut. 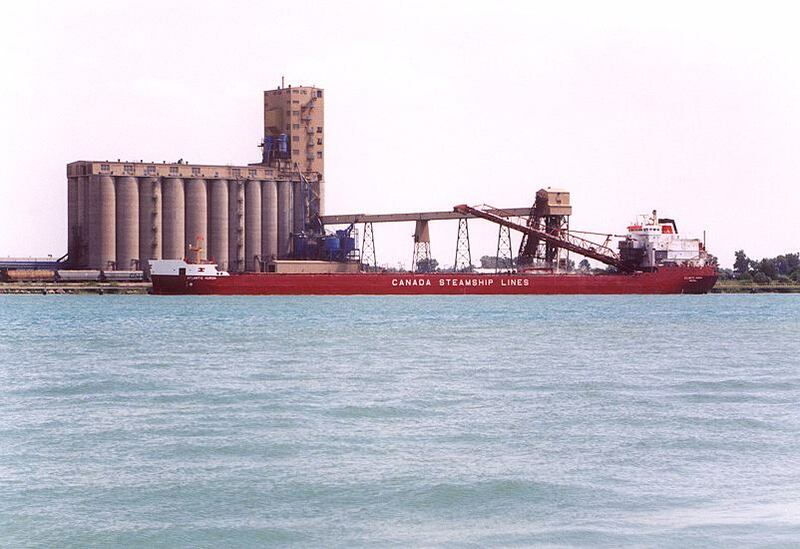 Algonorth loading grain at Toledo. 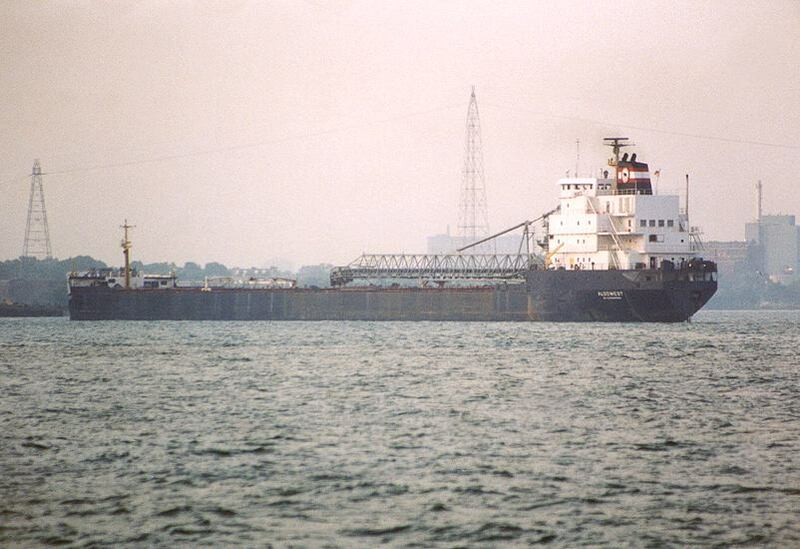 Algorail at Sarnia for winter lay-up 2001-2002. 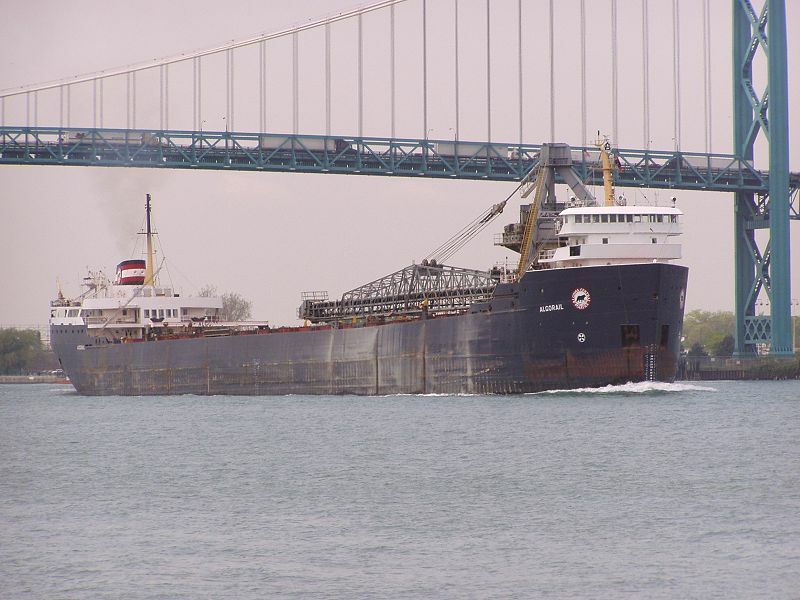 Algorail upbound at Detroit passing under the Ambassador Bridge. 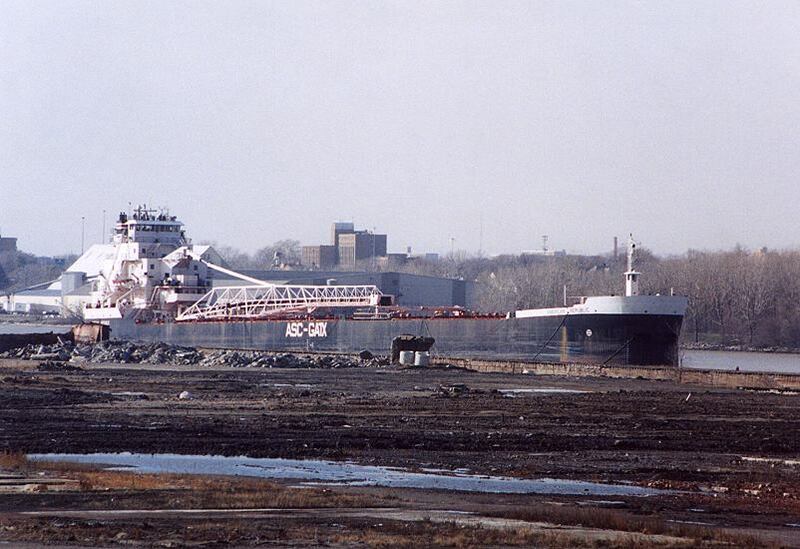 Algosteel unloading stone at Toledo. 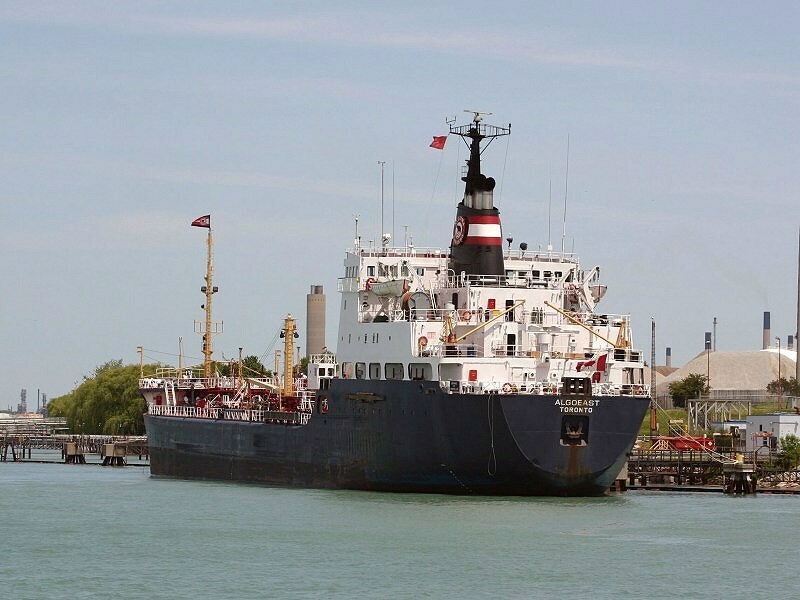 Algoville downbound in the St. Clair River near St. Clair. 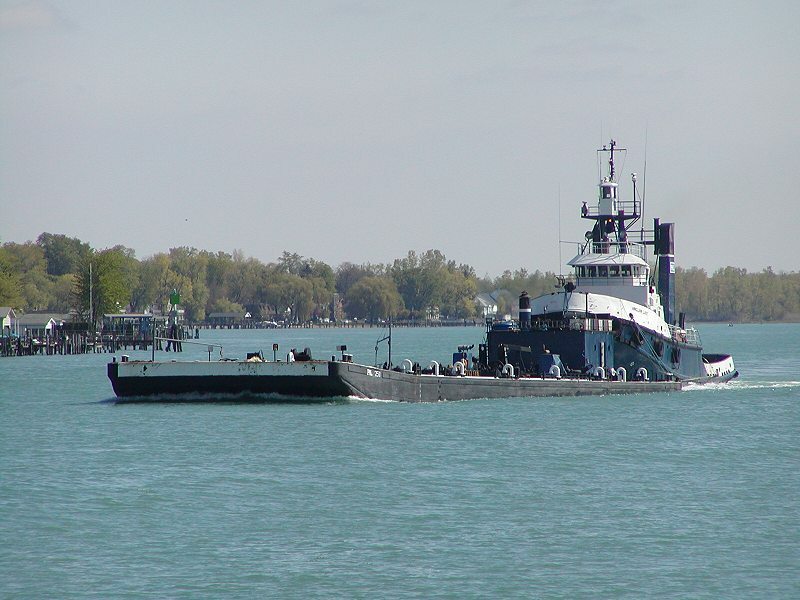 Algoway turning on the Detroit River with assistance of the tug Carolyn Hoey. 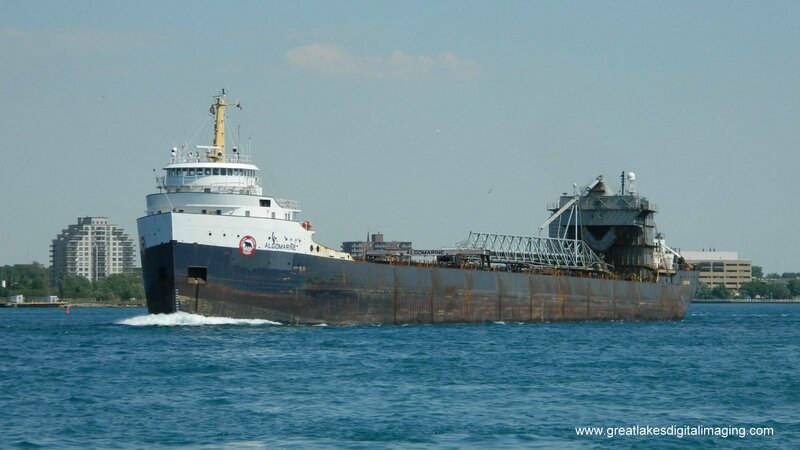 Algoway downbound on the St. Clair River near Marine City. 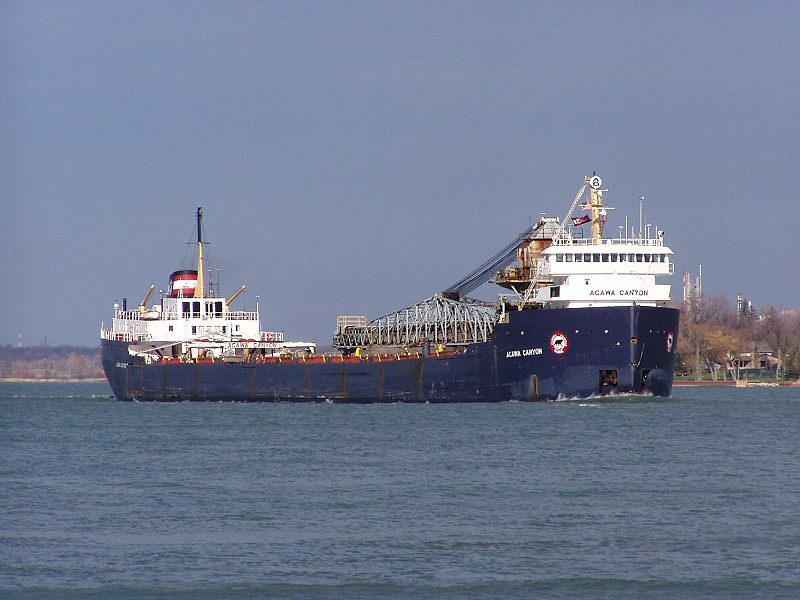 Algowest upbound in the St. Clair River near Sarnia. 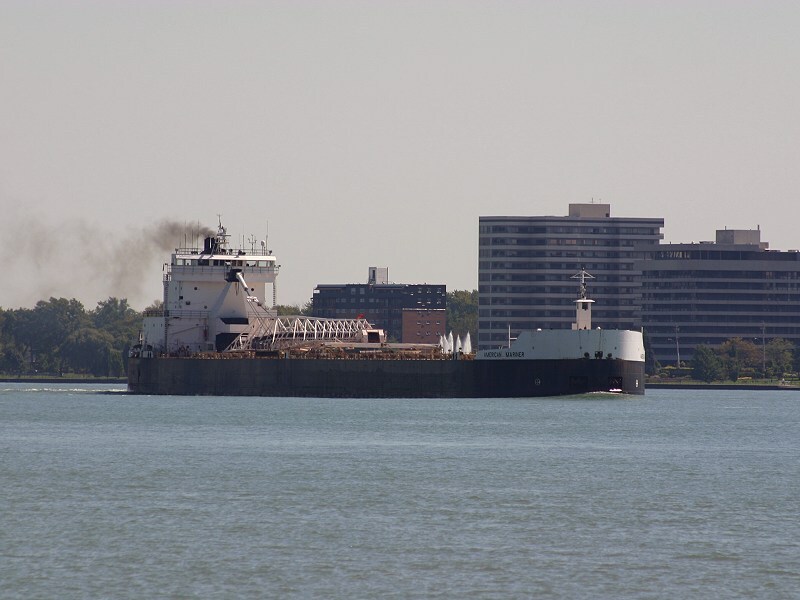 Algowood downbound on the Detroit River near the Rouge River. 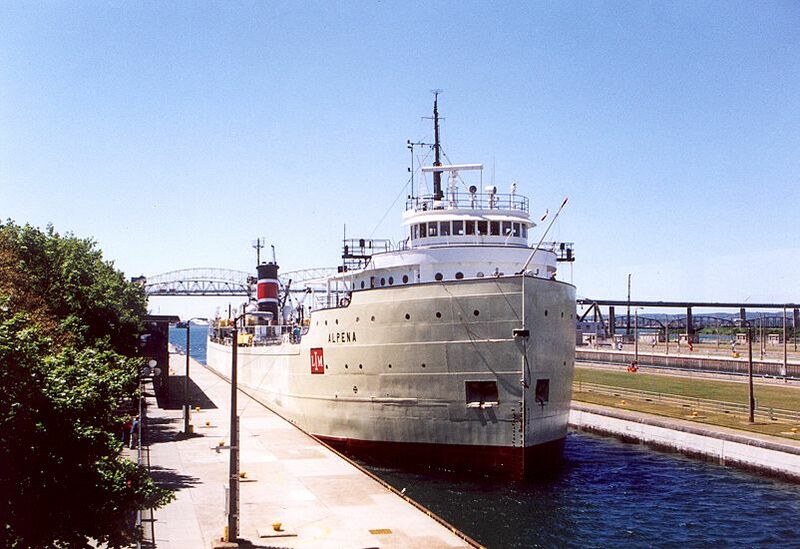 Alpena downbound through the MacArthur lock at Sault Ste. Marie. 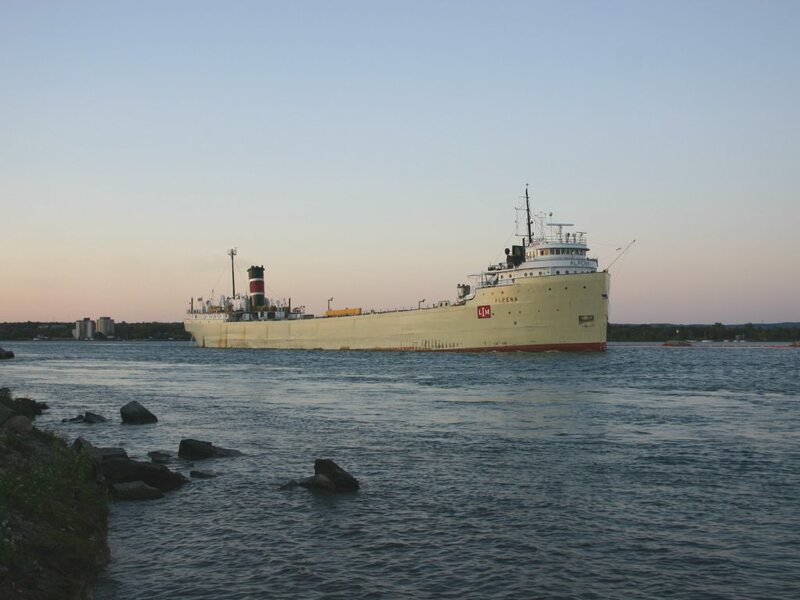 Alpena downbound in the evening on the St. Marys River. 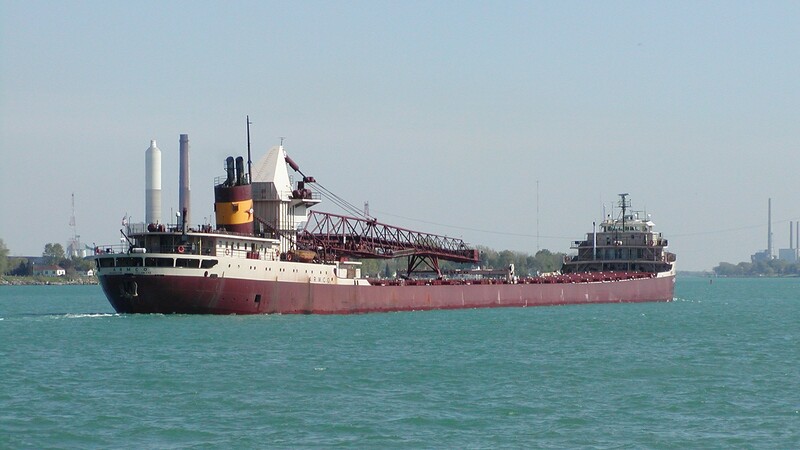 Alpena downbound in the St. Marys River at Rock Cut. 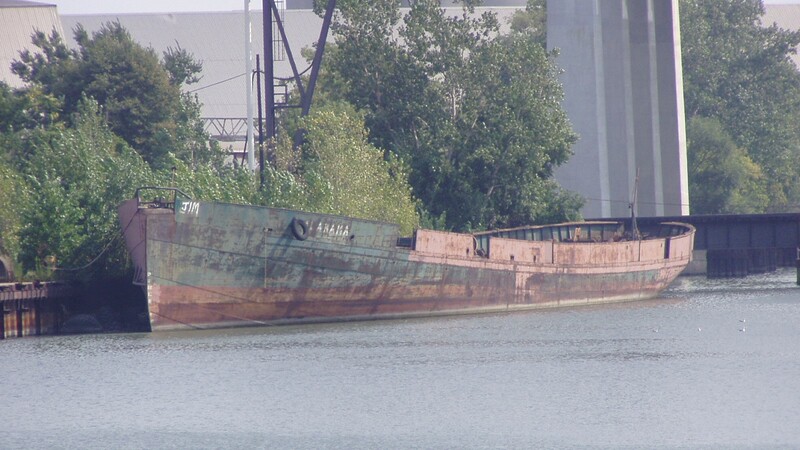 American Century upbound on the St. Marys River at Mission Point. 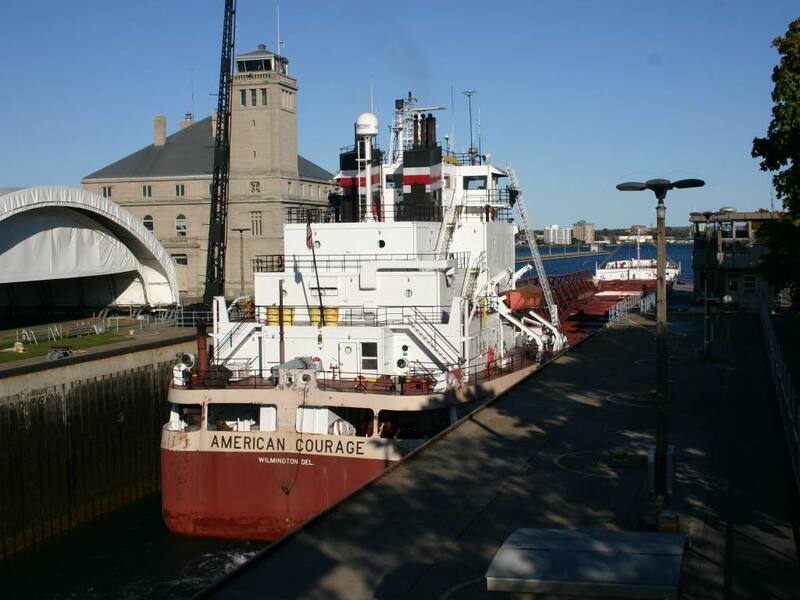 American Courage downbound through the MacArthur lock at Sault Ste. Marie. 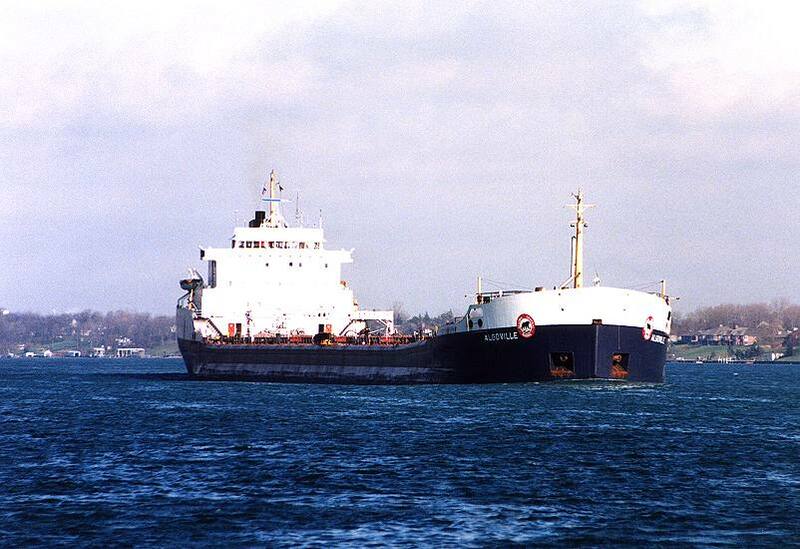 American Mariner upbound on the Detroit River passing Zug Island. 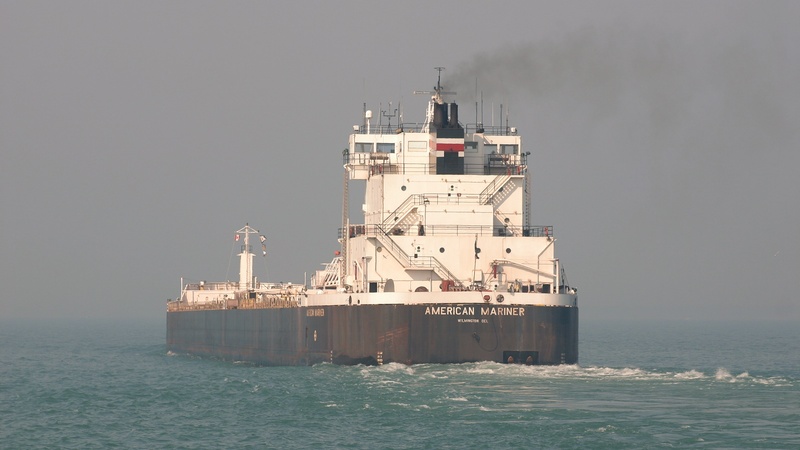 American Mariner crossing Lake St. Clair. 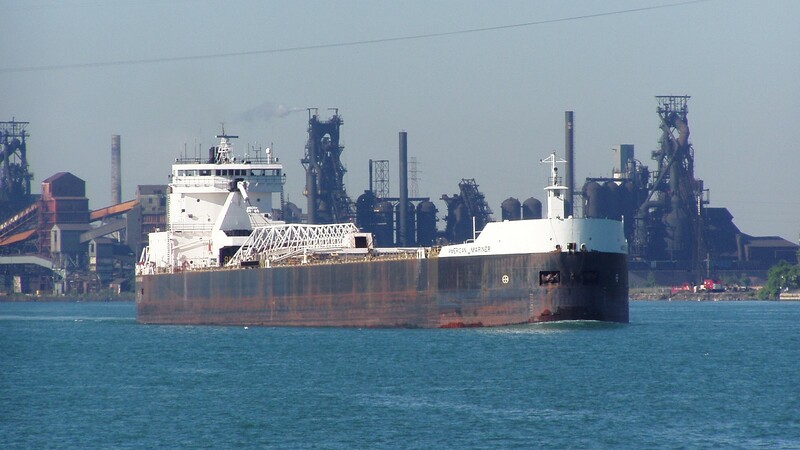 American Mariner downbound on the Detroit River passing Windsor Ontario. 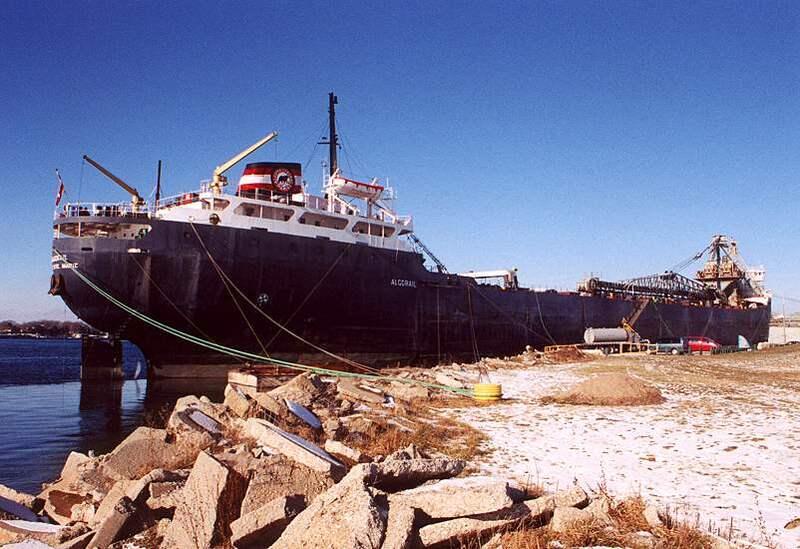 American Republic at Toledo laid up for the 2001-2002 winter. 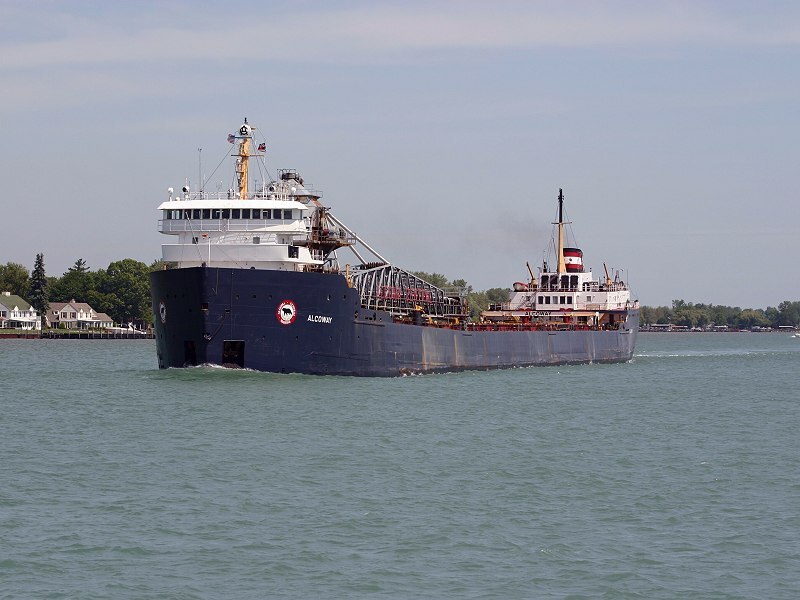 American Republic downbound crossing Lake St. Clair. 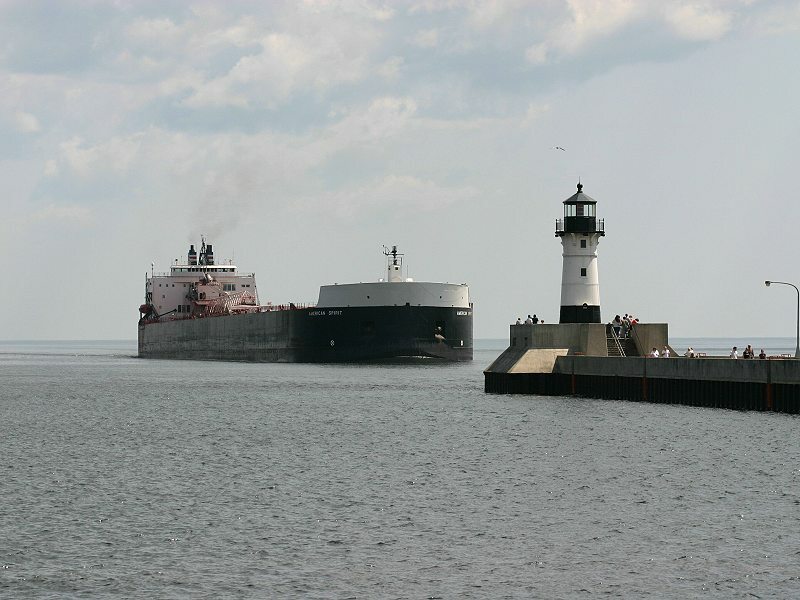 American Spirit inbound, passing the North Pier Light, Duluth Mn. 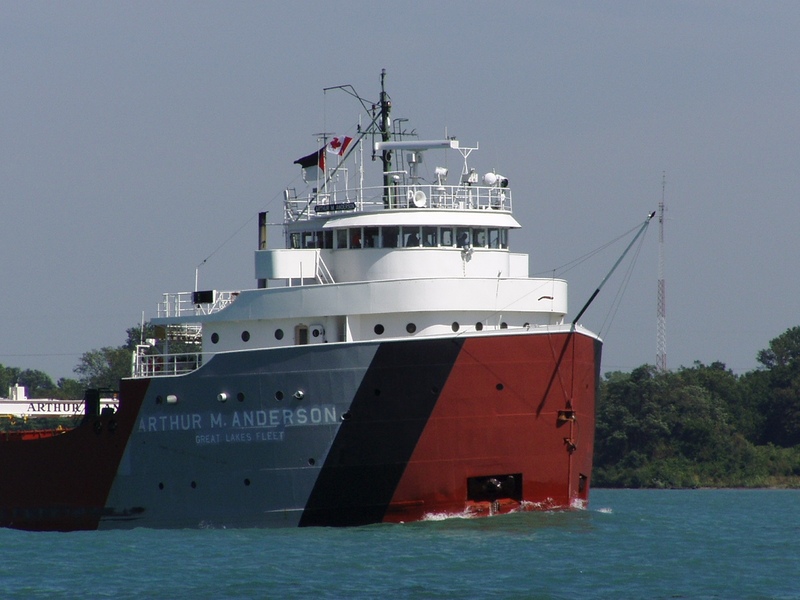 Anderson Arthur M. downbound on the Detroit River, close up of the Bow. 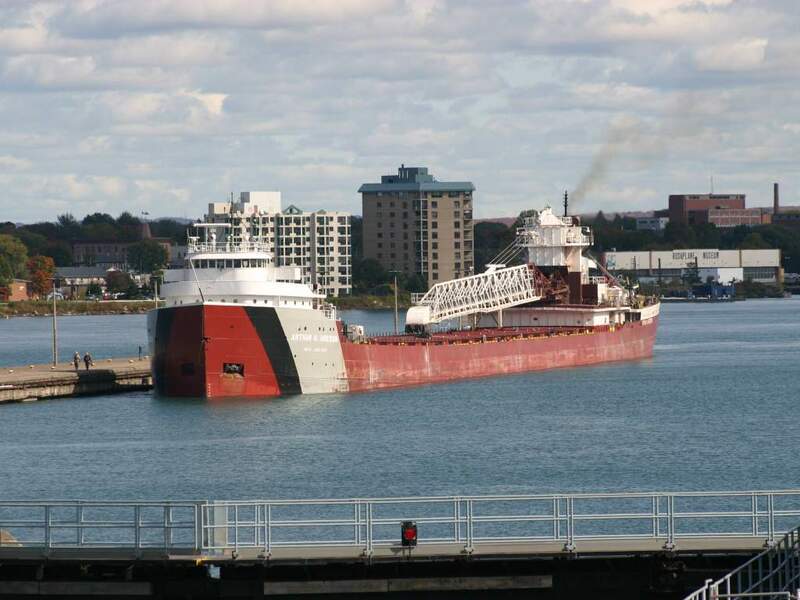 Anderson Arthur M. upbound entering the Soo Locks, Sault Ste Marie. 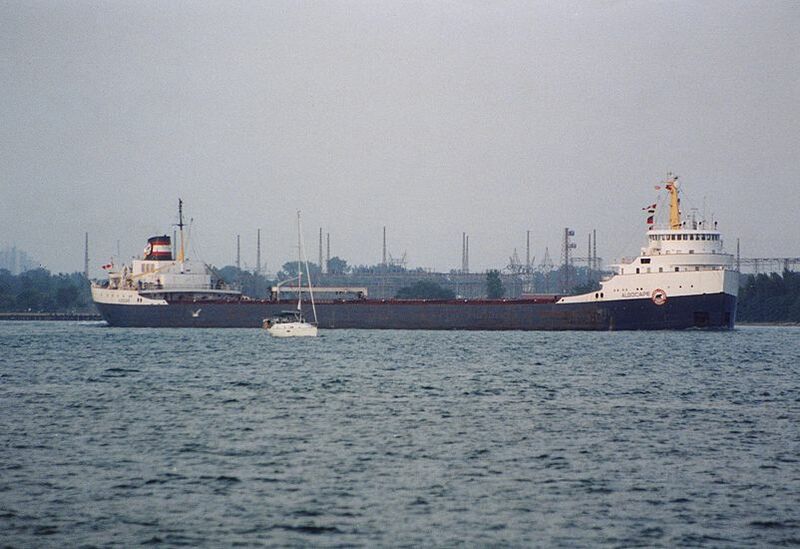 Anderson Arthur M. downbound at the Soo on her last run of the 2003 season. 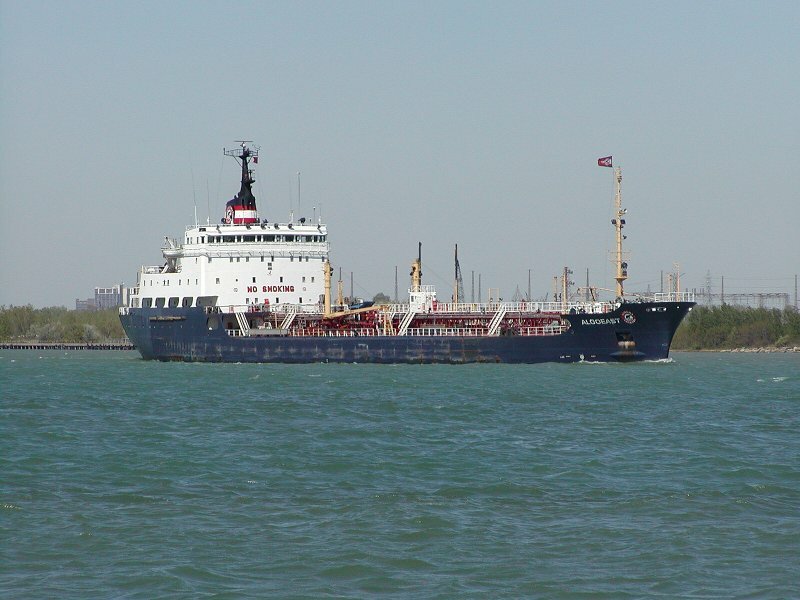 Anglian Lady downbound with her barge in the St. Clair River. 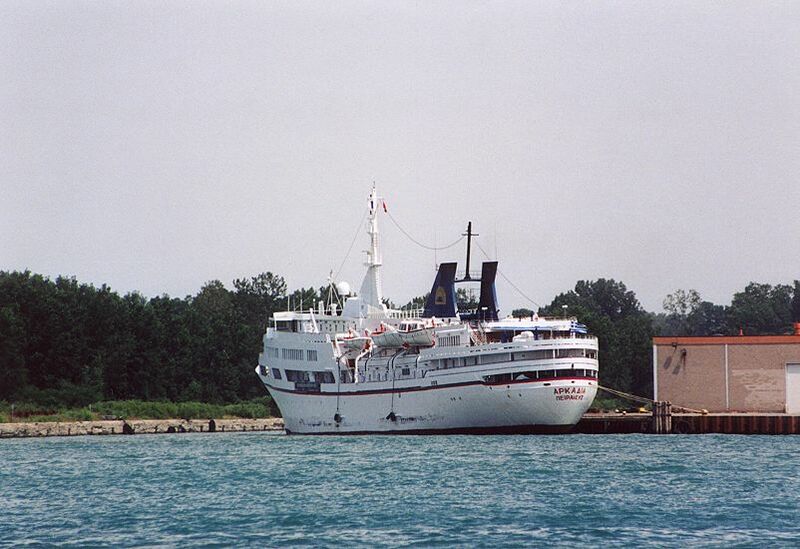 Arcadia awaiting disposition after many health violations at Windsor. 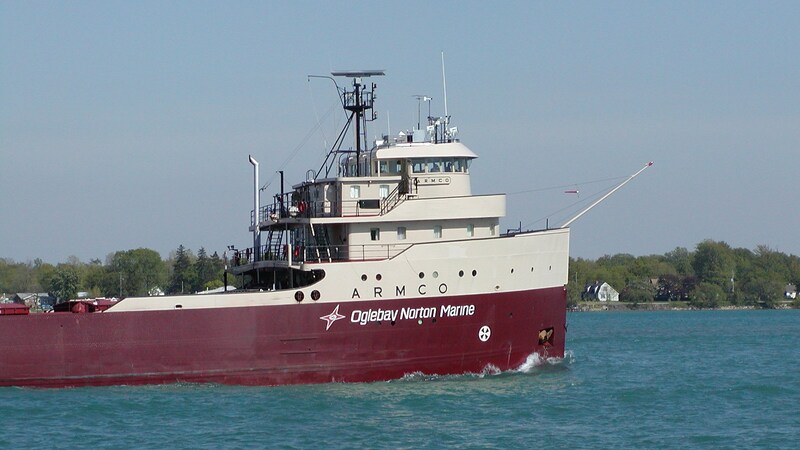 Armco upbound leaving the Soo Locks. 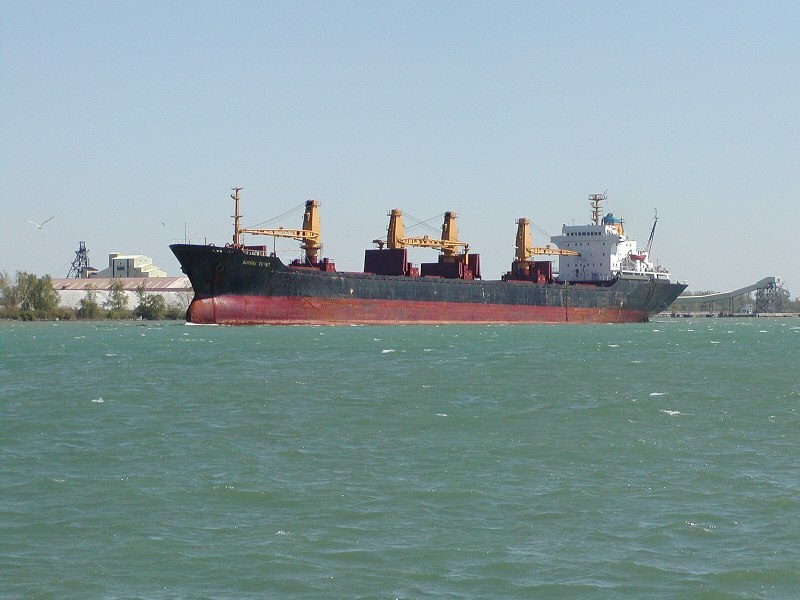 Armco Downbound on the St. Clair River. 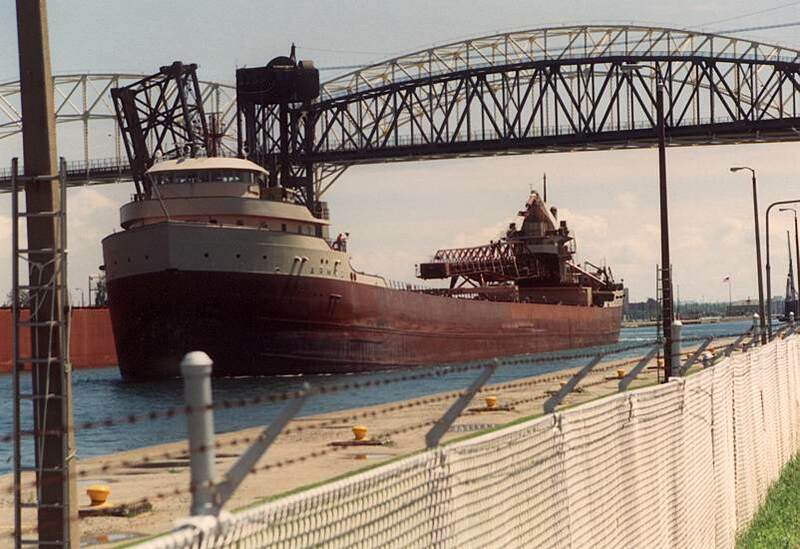 Armco close up of her bow. 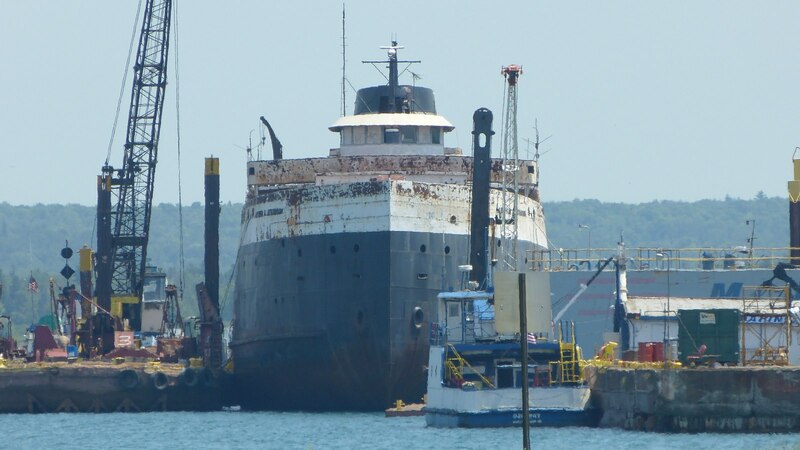 Atkinson Arthur K. ready for scrapping at the Soo. July 2012. 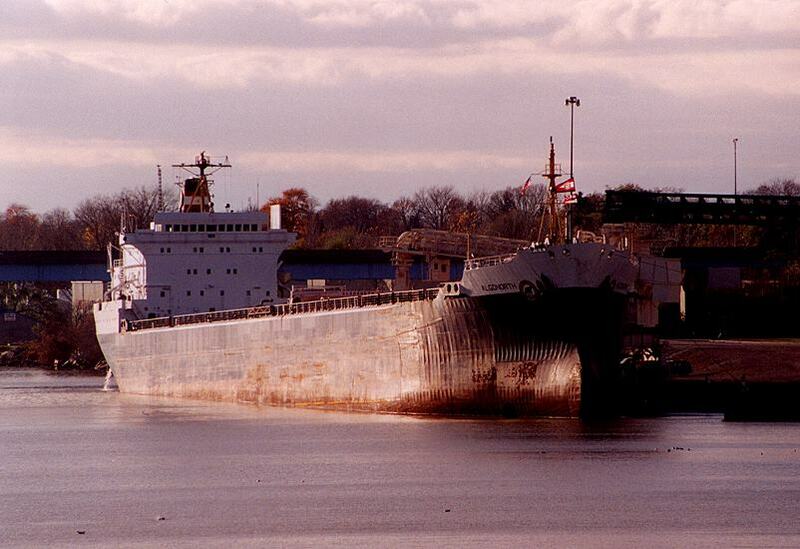 Atkinson Arthur K. ready for scrapping at the Soo. Another view. 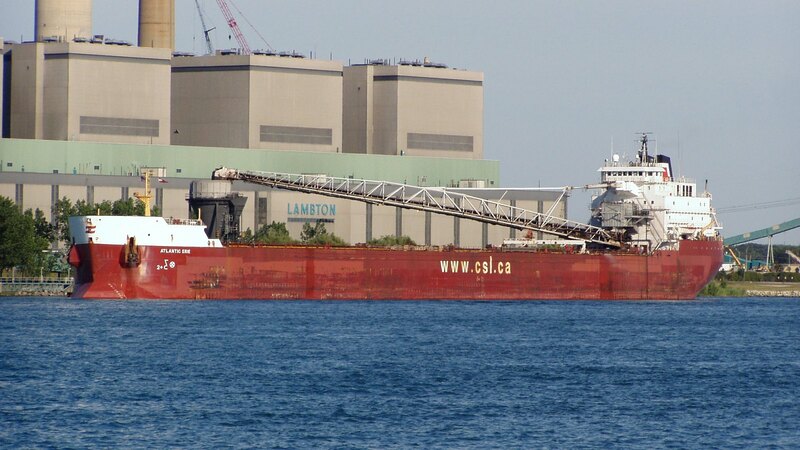 Atlantic Erie unloading at Lambton Power. 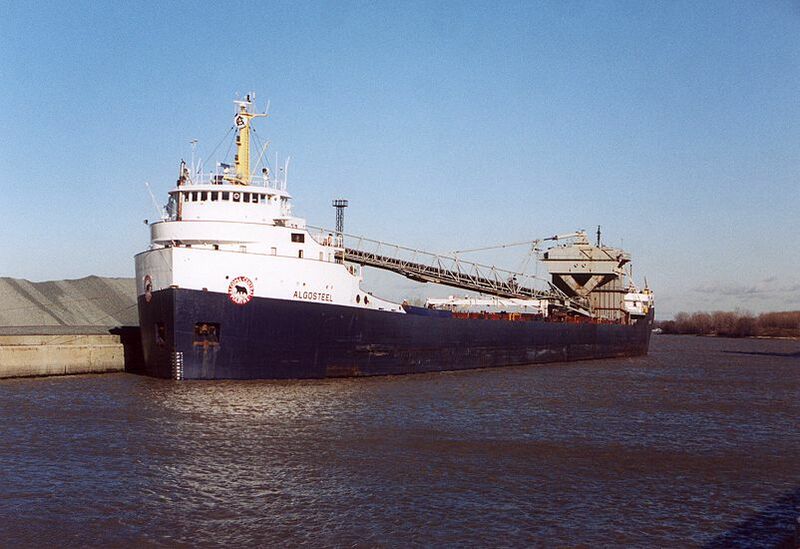 Atlantic Huron loading grain at Windsor. 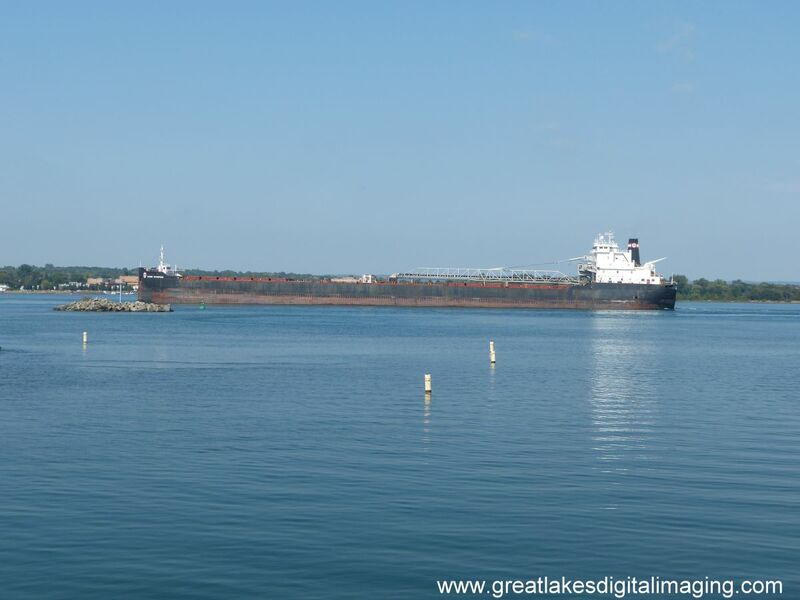 Aurora Topaz upbound in the Detroit River near Ojibway Salt.